Vladimir Petrov, a deputy of the Legislative Assembly of Leningrad Region (an area surrounding St. Petersburg), brought some fun to the parliament’s session on February 22. Petrov was not able to take part in work due to illness, but his wish was so strong that he found a weird way to do it. He just sent a cardboard copy of himself which took his seat in the auditorium. Vladimir Petrov broke his leg in December and is now undergoing medical treatment in Israel. It is clearly unknown what prevents him from treatment in Russia, but it is a common thing among Russian deputies and bureaucrats to use foreign medical and study services extensively. On February 22, he suddenly appeared in a hall of the Leningrad region’s Legislative Assembly where his fellow MPs gathered for a session. Of course, it was not really him, but his cut-out cardboard copy which was brought in and put in his seat by his assistant. The action initially caused some embarrassment among parliament members that was turned into jokes and a lot of photos. 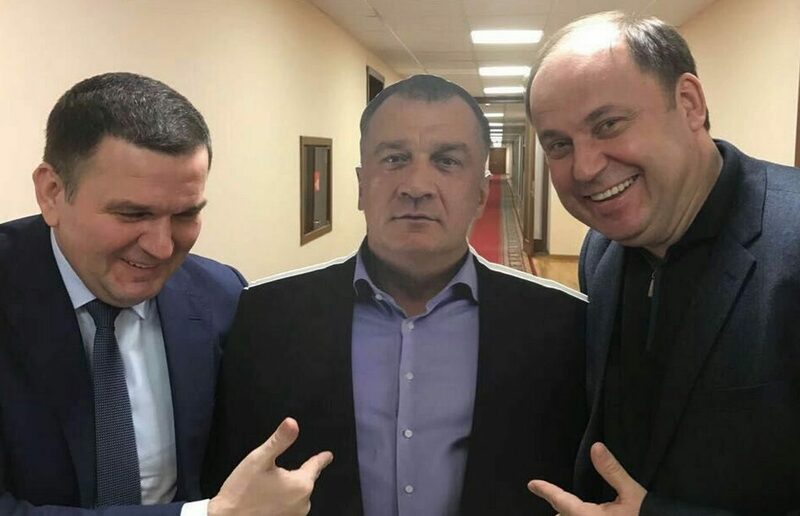 Deputy Andrey Lebedev even asked the speaker if Petrov the Cardboard had a right to vote and then asked a region’s vice governor who was sitting close to the copy to turn it against the wall so that «Petrov» could not see the process of voting. Finally, after a short photo session the cardboard was taken away by the vice governor to his place. P. S. Another prominent Russian politician Vitaly Milonov, who used to serve as a St. Petersburg’s parliament member and has been serving as a State Duma’s deputy since the fall last year, was recently seen near a shopping mall in Lappeenranta, Finland. 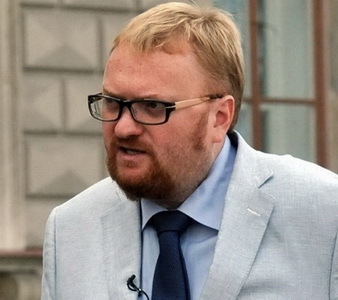 Social networks users assumed that Milonov was purchasing food there which is banned from importing into Russia because of mutual trade sanctions and curbs amid the conflict of Russia with Western countries. Milonov said that he visited Lappeenranta to negotiate cooperation in culture, though admitted that he sometimes buys fish in Finland which has been an ordinary practice for St. Petersburg residents for many years. «We travel to Finland to buy fish there, any St. Petersburg resident knows that trout there is very good. What’s wrong with that?» — was his comment to the media. P.P.S. BTW, as we wrote Belphegor frontman was attacked at St. Petersburg airport by Milonov`s assistant.